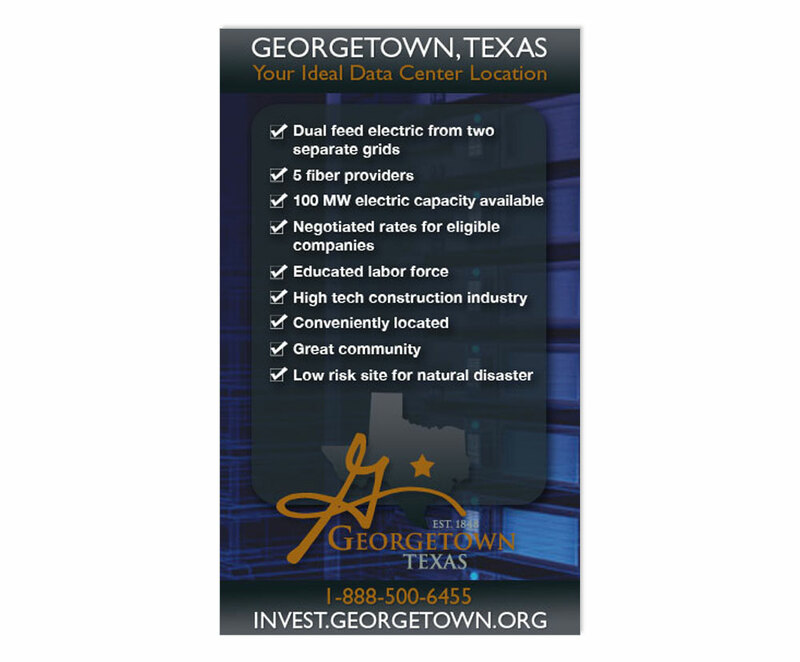 When a Fortune 500 company chose Georgetown as the perfect location for its 300,000 sq. 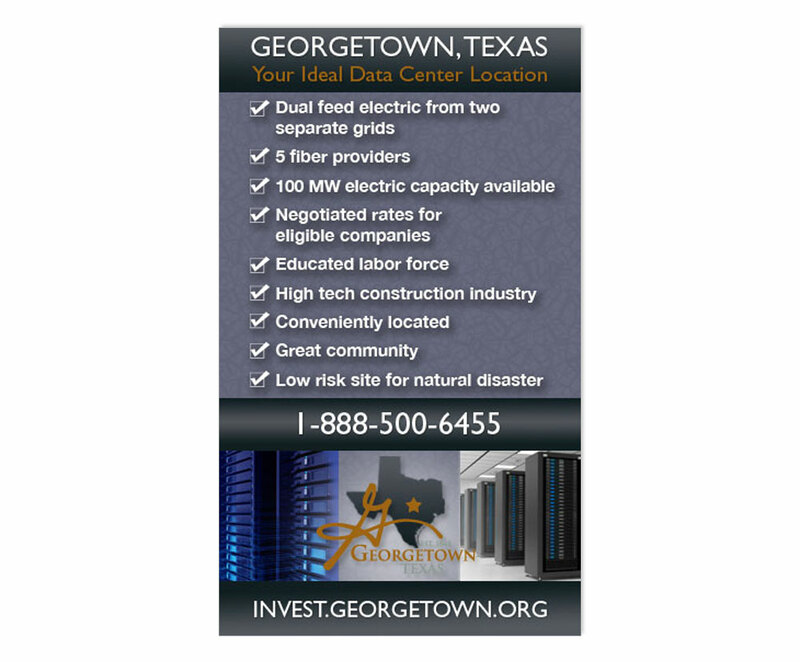 ft. data center, the City responded by building infrastructure to exceed the data center’s needs. 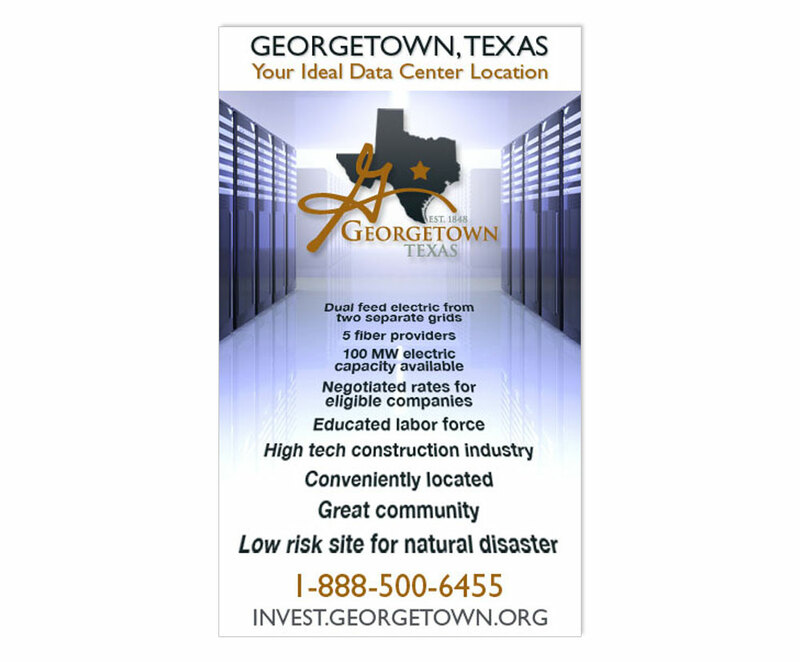 Sites around the data center have been engineered and are ready to accommodate additional data centers. 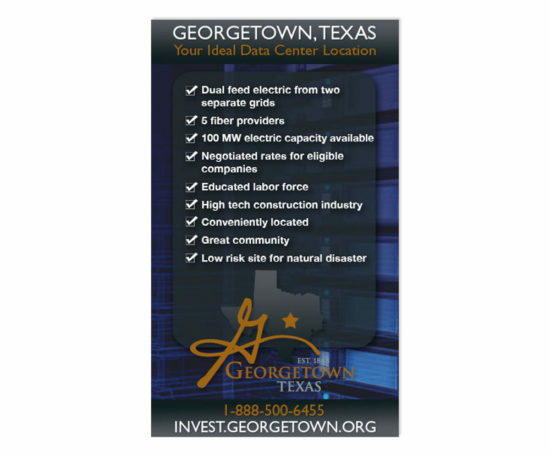 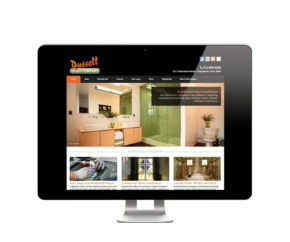 I created these web ads to help promote the Georgetown Data Center.